Childhood and adolescence are times of learning and growing, bringing love, joy, and fulfillment into the Christian home. As I grew up, I always had the idea that I would some day get married to a handsome man, have lots of kids; at least three, and have the ideal family. Well, in reality, I did marry a handsome man, and had one child, a lovely daughter from our union. I wanted more, of course, but the Lord decided that one was just the right number for us. From that point on, my perception of children and the importance they bring to the family unit changed and became broader in the sense of the roles they play and the meaning they give to the family unit as a whole. As man and wife, my husband and I realized that instead of just thinking of tending to ourselves or to each other, we had to then consider a new addition to our family unit, and to focus on caring for our new daughter who would soon be coming into our world. This may or may not apply to you, but I feel that, in many instances, having children makes you grow up and mature a lot quicker than not having them. You realize that you have to tend to and raise this sweet, little creation that God has placed into your life, and that life itself suddenly has become more serious but lively; challenging but more meaningful to you than before you ever had children. Childhood can be such a happy time and one of great fun and memories as well. Unfortunately, some children do not experience happiness within their own childhood. However, I firmly believe that children themselves, are truly one of God's greatest blessings to the Christian family unit. They contribute to our happiness as adults and parents, such as is written in Psalms 127:5, where it says that, " Happy is the man that hath his quiver full of them: they shall not be ashamed, but they shall speak with the enemies in the gate." Childhood does have its fun and wonderful moments as they are learning and developing physically, mentally, and emotionally. Sometimes it's hard to keep up with the fast changes that are going on within their world! Teenagers; however, are truly unique in that they are so full of life, drama, charisma, confusing feelings/emotions, highs and lows; and some are highly sociable, and others more reclusive in their relationships to others. All in all we love them just the same and strive to teach them to become good citizens who love the Lord and who will desire to live accordingly. The adolescent years can bring about many wonderful moments of learning and growth changes. Along with this however, they may also introduce various challenges and frustrating times for that teen and for the parents alike. Your child will experience various growth spurts and learning curves along the way, inserting his/her desires for independence as well. As you parent your children, presenting the gospel message of salvation to them, teaching them biblical principles, together with continual daily prayer and the steady training and knowledge of God's Word at hand, your child and/or teen will progress into a spirit-filled, God-fearing ambassador for Christ! 1 Peter 1:6-7 tells us, "Wherein ye greatly rejoice, though now for a season, if need be, ye are in heaviness through manifold temptations: That the trial of your faith being much more precious than of gold that perisheth, though it be tried of fire, might be found unto praise and honor and glory at the appearing of Jesus Christ." Romans 8:18 reminds us, "For I reckon that the sufferings of this present time are not worthy to be compared with the glory which shall be revealed in us." Providing Childcare/Daycare for your children. Are you able to stay at home with your children? Or do you need to provide them with some sort of childcare, whether it be in a home daycare or a daycare center, etc? These are questions to think about for them. Their Health/Wellness: These issues are always important and should be a concern for every parent who wants a healthy child. Their Social Lives. Well we know every child/teen has this, whether it be a very sociable one or an anti-social one. It is good to know about your child's/teen's whereabouts; about their friends or other people they associate or hang out with. Their Skills and Talents. Get to know and understand what your child's/teen's special skills and talents are. The childhood and adolescent years are fun times to begin learning about these things. What kind of arts do they create? Is it writing, painting, drawing, making speeches, leading a group, etc.? Hone in on these gifts that God has given them, helping them to build, expand, and progress in them even more. Bullying and Sexual Harassment Issues/Concerns. These types of problems affect your children more than you may realize. Their grades suffer, as well as their own emotional and spiritual well-being. If these issues are present within your child's school or home, seek immediate help to prevent them from spiraling downward into bouts of serious depression or attempts at suicide. Divorce And Breakup In The Home. 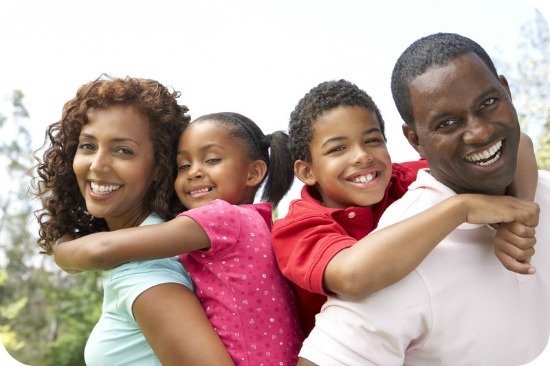 This can be a very devastating event for the family unit because it affects each member. I went through this particular situation with my family as well and know first hand of the many effects it can bring. These types of situations must be handled through much patience, the support of your church/school/Christian friends, prayer, and the reading and mediation of God's Word. To learn how to obey God in everything. (John 14:15, Acts 5:29, Matt.7:21-23, Luke 16:13, Eph.6:1, Mark 1:15, Psalms 119:11,1 Sam.28:18). 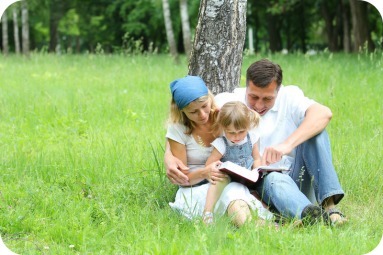 As a Christian parent, you need all the help you can get when it comes to raising your children throughout these childhood and adolescent years. However, when you approach it through God's Word, allowing biblical principles to be established in your home without shame, reproach, or argument, your children will have the godly foundation they need as they grow into young ambassadors for Christ. It is during these childhood and adolescence years that these principles must first be taught, learned, and applied throughout their lives as they live for God, giving Him the honor and glory that He deserves, serving and worshiping Him in Spirit and in truth.